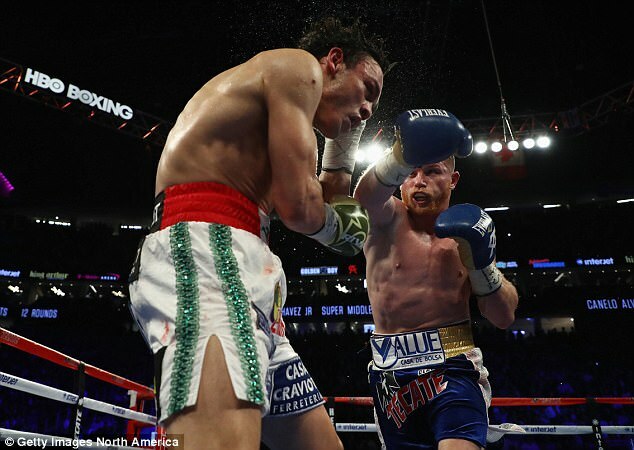 Come September, Saul ‘Canelo’ Alvarez will get a chance to become the middleweight champion again. 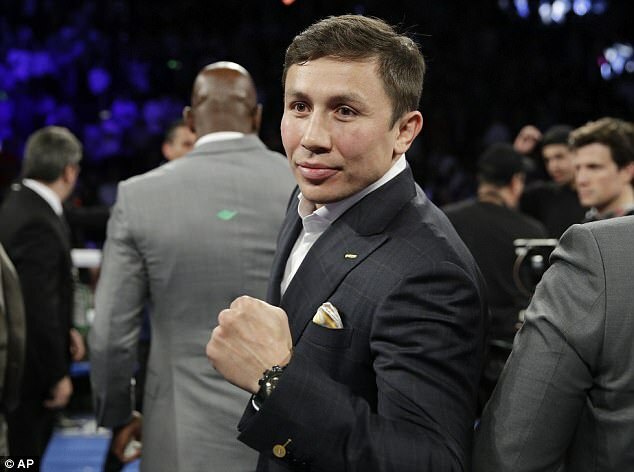 Minutes after winning every round on all three judges’ cards in a 12-round romp over Chavez, Alvarez invited Gennady Golovkin into the ring and announced a long-awaited clash on September 16. The contract has already been signed. Only the venue is undetermined. 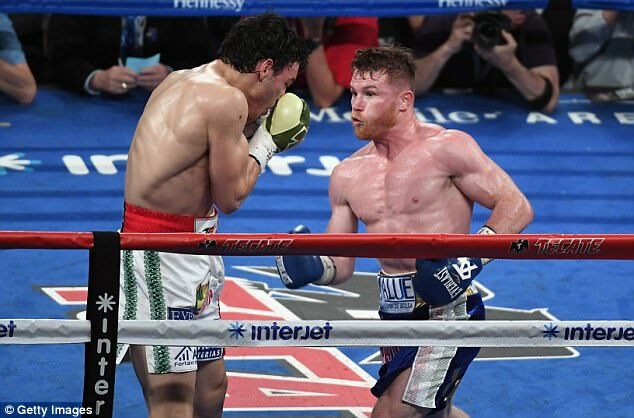 Alvarez (49-1-1, 34 KOs) used a punishing jab to take control early against Chavez in a match-up of former middleweight champions. The bigger Chavez (50-3-1, 32 KOs) started bleeding from the nose in the third round. His left eye swelled in the sixth and started to close a round later. 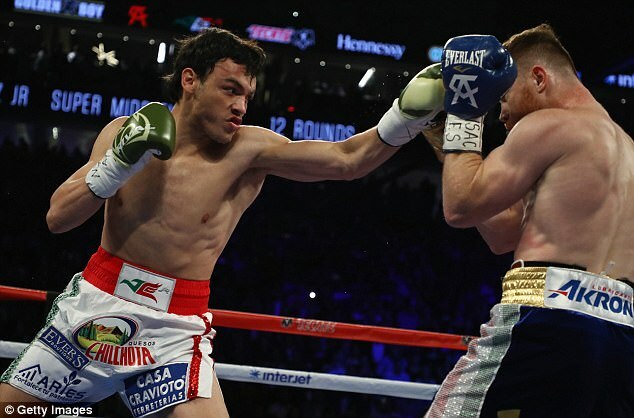 Alvarez, who went off as a 4-1 favorite, was much quicker than the largest fighter he’s faced. He had a 228-71 edge in punches landed and an 83-15 advantage in jabs landed. Alvarez’s team was so confident, they cut the deal with Golovkin before the bout. 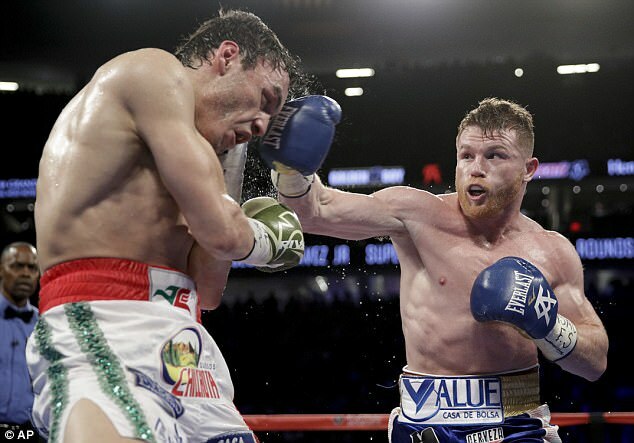 Alvarez had no choice after relinquishing his WBC belt last year to Golovkin when he declined to reach a fight deal. The 31-year-old Chavez, son of iconic Mexican boxer Julio Cesar Chavez Sr, was trying to revitalize a career derailed by positive drug tests, weight issues and lax training. But he proved no match. Chavez avoided a £700,000-per-pound penalty when he weighed in at 164 pounds on Friday, a half-pound below the bout catchweight and the lightest he’s been since losing his middleweight title to Sergio Martinez in 2012. 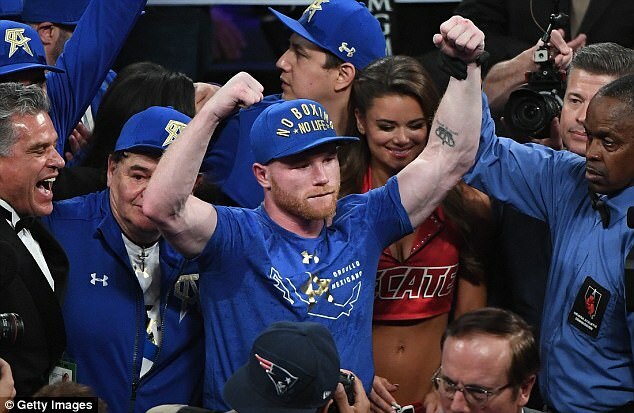 The 26-year-old Alvarez also weighed in at 164, nine pounds heavier than he’s ever fought. 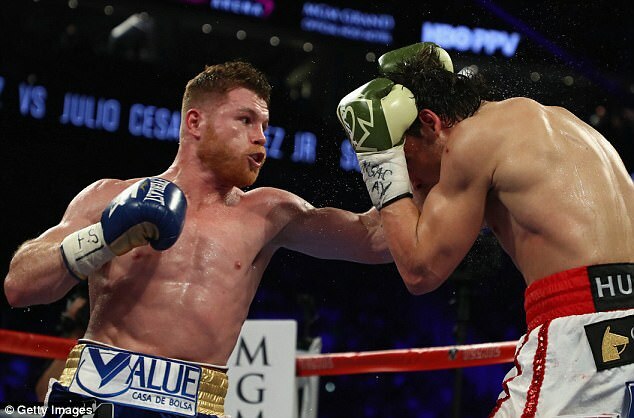 Alvarez, whose lone loss was to Floyd Mayweather Jr, got against the ropes several times and absorbed combinations from Chavez before quickly recovering with uppercuts. Despite a four-inch height advantage and an obvious weight edge after he re-hydrated, Chavez was over-matched in his first fight under iconic trainer Ignacio ‘Nacho’ Beristain. 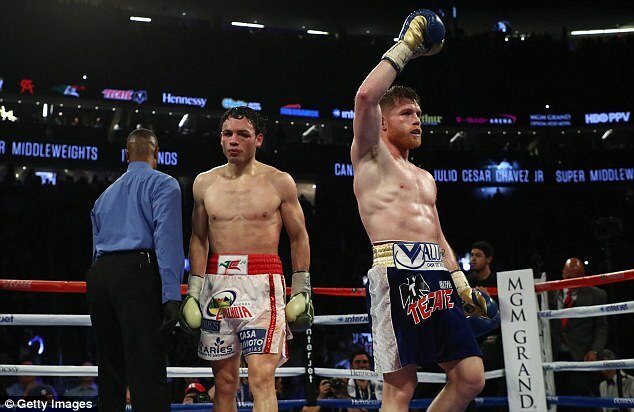 A confident Canelo didn’t bother to sit in his corner after the seventh round of a fight that wasn’t nearly as competitive as hoped. A week after Anthony Joshua stopped Wladimir Klitschko in the 11th round of a thrilling heavyweight bout in front of 90,000 fans at London’s Wembley Stadium, the sport staged another big fight. Only this time there was a distinct Latino flavor. There was tension between the two fighters along with political overtones as a commercial for the fight depicted both boxers bursting through President Donald Trump’s proposed border wall. The red-bearded Alvarez is normally mild-mannered, but he had criticized Chavez for his work ethic. 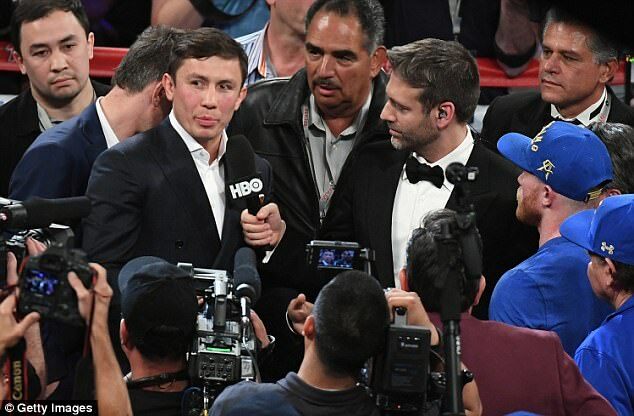 Chavez then needled him for refusing to fight the bigger Golovkin. Alvarez was guaranteed £3.85million and Chavez £2.3million. The September fight could produce an eight-figure purse for Alvarez. In the co-main event, former IBF middleweight champion David Lemieux of Montreal took a unanimous decision over stubborn Mexican Marco Reyes in a catchweight bout at 163 pounds. A left by Lemieux (38-3) opened a large gash above Reyes’ right eye in the second round. Lemieux later twice knocked out Reyes’ mouthpiece with punches. But Reyes (35-5) stayed upright for 10 rounds as blood streamed down his face and onto his chest. Other matches on the undercard included Lucas Matthysse, a former junior welterweight champ, ending a 20-month layoff by dropping Emmanuel Taylor (20-5) of Maryland twice before the referee stopped it in the fifth round. The Argentine (38-4) was making his welterweight debut. Joseph ‘JoJo’ Diaz Jr. (24-0) out-pointed fellow Californian Manuel ‘Tino’ Avila (22-1) in a one-sided 10-round featherweight bout. 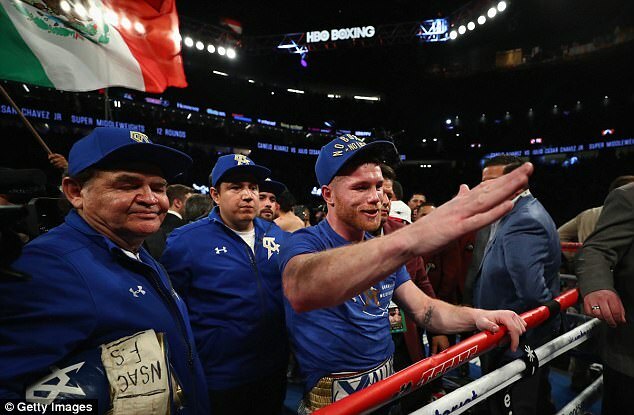 For much of the undercard, fans traded ‘Canelo’ and ‘Chavez’ chants on a festive night that brought out several stars, including Evander Holyfield. Alvarez knows his next fight will be bigger. 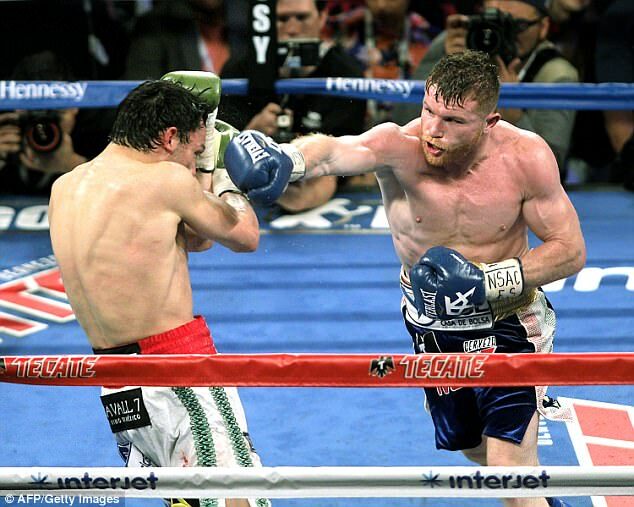 ‘I always say, Canelo Alvarez is the best because I fight the best,’ he said.